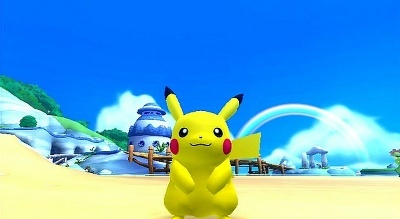 Roughly a year and a quarter ago, Creatures Inc. and Nintendo released PokePark Wii: Pikachu’s Adventure. Due to an utter lack of marketing by Nintendo of America, the title was one of the few Pokémon games that was overlooked, even by the core fan base. It’s a shame too, because it was the first game to give a lot of Pokémon fans what they had been clamoring for: 3D real time Pokémon battles. Sure you could only play as Pikachu, but it was a lot of fun and I still see gamers go, “Wah! When we will get action based Pokémon combat like in a fighting game or a button masher?” Well, there already is. 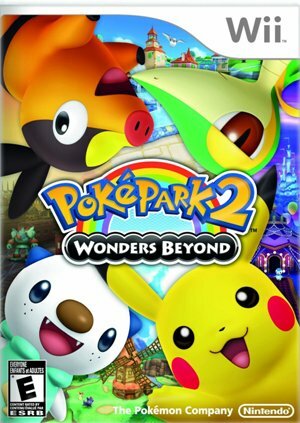 In fact, with the release of PokéPark 2: Wonders Beyond, now there are two. I loved the premise of the original game, but wanted more playable Pokémon in combat, some better controls and the ability to play multiplayer version of all the mini-games. So does PokéPark 2 give fans of the first game the improvements they were looking for, or is it just more of the same? Welcome to Wish Park! Wish Park is an odd little place just for Pokémon that is made out of cookies and candy. As diabetically delicious as this sounds, there’s something odd about the place so Pikachu and Piplup decide to check it out. Unfortunately something happens and the two Pokémon are split up. This means Pikachu has to ally with new friends Tepig, Snivy and Oshawott in order to find Piplup, figure out what is behind the madness inflicting Wish Park and bring everyone within the park back to normal. Pretty dark sounding storyline for a Pokémon game, isn’t it? Well, don’t worry – it’s still very much an all ages affair. PokéPark 2 has a fun little story, but there are also lots of battles to be had, items to collect and the mini games now allow up to four human controlled players! The downside is that there are only four mini-games in PokéPark 2 compared to the fourteen in the original game, but I’ll take the multiplayer option any day. Besides the main story, which is pretty open ended (think an E-rated Arkham City or Grand Theft Auto, you can engage in free battles, a ten round Battle Tournament and the aforementioned Mini-Games. There are over a dozen regions of the game to explore and you’ll sink a surprising amount of time into the game. Overall, the story is a cute one, but it’s also designed to intrigue Pokémon fans of all ages. The sheer amount of content also prevents the game from feeling linear. Whether you want to follow the story to its conclusion or just putz around with Pokémon battles – it’s all up to you. Very nicely done. 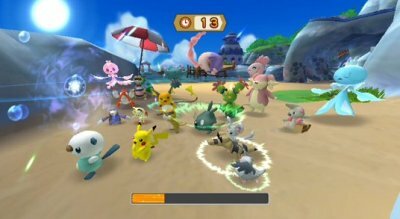 PokéPark 2 looks great – especially for a Wii game. All the Pokémon look like they were ripped directly out of the anime. Interactive cartoon gaming? Yes please! Everything is wonderfully animated, backgrounds have a lot of detail and texture and the game is just gorgeous. Sure it’s not going to compete with high def games on the 360 or PS3, but it blows other first party Nintendo titles like The Skyward Sword out of the water. I’m also happy to report that I didn’t encounter any slowdown during the battles, even when there were multiple Pokémon on the screen at once. The thing runs incredible smooth and I never had to deal with tearing or texture issues either. Creatures Inc. really did an amazing job here and I honestly think PokéPark 2 is not only one of the best looking Pokémon games ever, but one of the best looking Wii titles out there. Like the first PokéPark, PokéPark 2: Wonders Beyond, uses actual voice acting from the anime. This means you’ll hear Ikue Ootani in all her “Pika Pika!” glory, along with all the other voices of the nearly 200 Pokémon that appear in the game! That’s pretty impressive. The voice acting is great and really helps to make PokéPark 2 feel like it’s an episode of the cartoon come to life. I absolutely adored this. The music in PokéPark 2 is extremely well done too. It’s noticeably improved from the first game and I found myself humming along, even after I had turned off the game. They’re that catchy. Not as catchy as the tracks in the core RPG series, but catchy enough that you’ll have a lot of fun just listening to the game. All in all, the game’s an auditory delight for Pokémon fans. So this is going to be the meat of the review because there is so much to cover here. Let’s start with battles as it is the bulk of the game. For most of the game you’ll hold the Wiimote like an NES controller, using the D-pad to move Pikachu, and the 1, 2 and A buttons for attacks. However, Pikachu steers like a tank and his thunderbolt only goes in a straight line and it’s a bit hard to aim. It’s not bad, but it definitely could use some work. Pikachu has the same three attacks from the original game: Dash, Thunderbolt and Iron Tail. SO what’s changed? Well, now you can use the Pokémon Black & White starters in battles as well. So you have a choice of four Pokémon. Each of the new Pokémon have three attacks as well. The attacks are the standard Dash Attack and then two attacks that correspond to their type. So for example Tepig has Flamethrower and Heat Crash. This isn’t the only new addition to combat however. 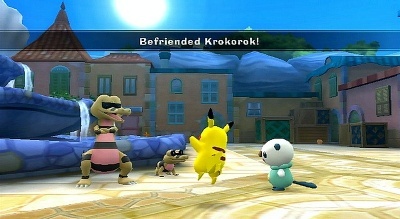 When you befriend random NPC Pokémon throughout the game, you’ll discover that some can be called into battles similar to a “striker” in some of the King of Fighters games. Yes, Pokémon plus King of Fighters. You have to wonder who pushed for that internally… These strikers will battle with you, but they are controlled by the game and have far less hit points than your main Pokémon but can really turn the tide if a battle isn’t going well for you. All in all, the fighting is a lot deeper in PokéPark 2, and with the ability to call on strikers and switch your playable Pokémon, it’s also become a lot more fun. So how do you befriend other Pokémon in the park? Well there are plenty of ways. You could beat them in a game of tag, complete their Pokémon quiz, run a obstacle course, take pictures of other Pokémon for an interested party, beat them at hide and seek, run a fetch quest for them, beat them in a battle, but them an item, give them a Poké Doll and more. There are many different ways to befriend a Pokémon and each feels like a subquest in a RPG. Don’t forget there’s also the Battle Tournament, the ability to collect all sorts of knick-knacks and the four mini-games. Let’s look at all of those now. 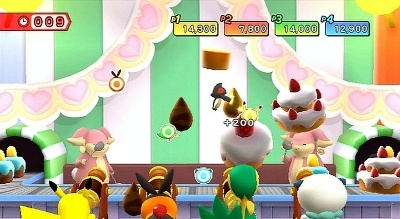 The first mini-game is called Cake Contraption. This is a shooting gallery/light gun style game. The second game is Dance Inferno and it’s a Bemani style game very similar to Gabrielle’s Ghostly Groove: Monster Mix. The third game is Fight of Fancy and this is a racing game. You move by tilting the Wiimote and jump by pressing the 2 button. You’re not just trying to be the fastest though, you’re also trying to collect gems that are all over the course. This is my least favorite of the mini-games as I find it to have the wonkiest controls in the game. The fourth and final mini-game is Power Bash! Power Bash is kind of a fighting meets tower defense game as you’re trying to keep Pokémon and bombs alike from your character. It’s pretty neat and for those that can’t get enough of battles, this will be your favorite mini-game. All in all, PokéPark 2 is definitely a massive improvement from the first game. 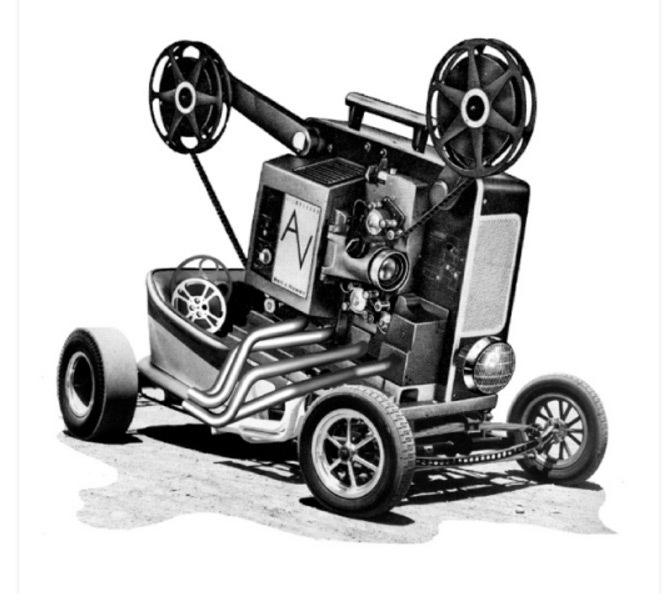 The controls are tighter, the camera is better and it’s a lot more fun to play. I can’t emphasize how much better the game’s battles are or how much more fun the min-games are now that it’s more than you and three CPUs. Even people that aren’t big Pokémon fans will enjoy what’s here -if only because it’s a nice change of pace. Besides being a Pokémon sandbox game and all that comes with that action sub-genre, there are also new things to do and new Pokémon to battle and/or befriend after you beat the game. 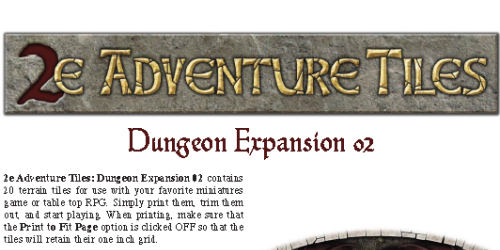 You can also always go back and collect the things you missed in your first runthrough or engage in some quests that you passed on for whatever reason. PokéPark 2 offers a surprising amount of replay value, especially for diehard Pokémon fans. There’s just so much to see and do here that you can play for hours and still find something new. PokéPark 2 is better balanced than its predecessor which makes for a better overall gaming experience. For example, you don’t have to swear when Pikachu comes up against a Rock or Ground type Pokémon. If you’ve found them, you can always switch to Snivy or Oshawott and have a type advantage. In this respect, PokéPark 2 feels more like a proper Pokémon title – just one that is now real time instead of turn based. The Battle Tournament will really test you and it’s a lot of fun, as are the mini-games. Mini games aren’t challenging, but with four people, they ARE competitive and they are a blast to play. The subquest difficulty ranges depending on your skill level. For example, if you are an adult that is new to Pokémon and you do one of the quizzes you’ll have a harder time than say, a five year old that eats, sleeps and breaths the game. Meanwhile the child might find the platforming obstacle courses or the battles harder as they require hand-to-eye coordination that isn’t needed in the turn based RPGs. Regardless, the learning curve isn’t steep and although you might find some bits challenging, there won’t be anything that drives you into a frustrated rage. On one hand, PokéPark 2 is a direct sequel with the same sort of flow and gameplay as the original game. On the other, PokéPark 2 is a massive improvement in all ways, sporting better graphics music and battle controls along with new four player mini-games and much deeper combat. It’s also only the second game to feature real time Pokémon battles and that’s the real draw here. The PokéPark games definitely stand out from the usual Pokémon titles, but only once you’ve played it. It still features the same cast and crew in all Pokémon games, just in a different format. That’s one great thing about Pokémon – it’s constantly reinventing itself and trying out new genres and gameplay choices. Still, that doesn’t change the fact this is an upgrade of a mostly identical title that was put out just two years ago. PokéPark 2 is a pretty simple game. There’s more depth and options then we had in the first game, but it’s still pretty simple and geared primarily for younger gamers. I never got bored playing it, but then I adore all things Pokémon. Other gamers might find playing tag or hide and seek instead of shooting things up a bit dull or boring and that’s fine. Kids of all ages will love this for what it was and have fun with a sandbox style game made specifically for them. Older gamers will enjoy the real time Pokémon battles but will still be wishing the game went even further. I’d love for Creatures Inc. to do a full game based on this idea, but with more moves, more playable Pokémon and perhaps even double or triple battles to boot. I really enjoyed PokéPark 2 and it really is one of the better Wii games that we’ll be getting in 2012. There’s enough to see and do than unless you outright hate games made for all ages, that you’ll find something to have fun with. The first PokéPark game was met with mixed reviews and most mirrored my own thoughts. 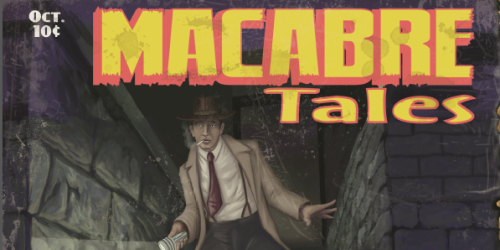 The game had great ideas, but not enough depth or follow through along with an odd decision o have a ton of mini-games but then make them only for a single player. Well all that’s different now. With PokéPark 2: Wonders Beyond, you get a longer, better looking game with deeper combat and finally some multi-player components. Creatures Inc. have mostly given all the naysayers exactly what they asked for – although not necessarily enough of it. 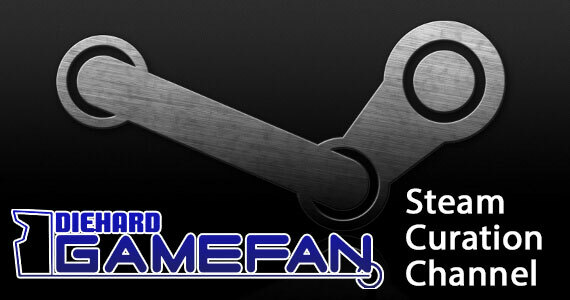 That should mean that the game will be a success both with critics and gamers alike, right? Well, not necessarily. Most Pokémon fans seem to want portable Pokémon titles and so as good as some console titles have been, they just haven’t been as successful. As well, PokéPark 2 is geared for a younger audience and so older gamers might find a large chunk of the game to be “beneath them” while still enjoying the combat. Finally, there’s the fact that most Pokémon fans are used to turn based RPGs that value tactics over hand-to-eye coordination. PokéPark is an action game and so a completely different skill set is required. Because of this younger gamers, which are the core audience for this title, might find the higher level battles a bit too tough for them. All in all, while PokéPark 2 is a fun game – it’s not for everyone. Much like the first it’ll be fun to dabble in, but really only diehard Pokémon fanatics will consider the game a keeper. The battles are fun, but once again this is just whetting our appetites for what we not only know is possible, but is long overdue. 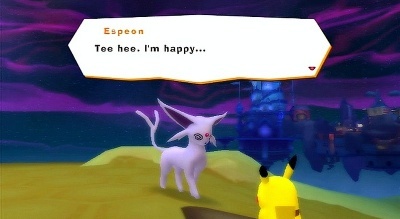 All in all, PokéPark 2 is a surprisingly good game and proof that Creatures Inc. listens to their fanbase as long as the requests don’t involve Mother or Earthbound. 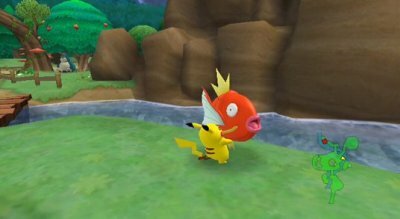 The game’s a massive improvement over the original in every way and while simplistic, PokéPark 2‘s battles are still fun for Pokémon vets and newcomers alike. It’s one of three games I was actually interested for the Wii this year (Xenoblade and The Last Story are the other two) and I’m quite happy with PokéPark as it’s exactly what I was hoping the game would be…just with less playable Pokémon in battles. PokéPark 2: Wonders Beyond is a definite reason to boot up your Wii, whether to reacquaint yourself with an old friend or to give the system a warm-up before Xenoblade Chronicles comes out. Pokémon fans of all ages should at least play the game to finally realize what real time Pokémon combat feels like. For everyone else, they’ll find it an interesting but more than likely forgettable experience. PokéPark 2: Wonders Beyond is a definite improvement over the original game. The graphics feel like they are ripped straight out of the anime and the fact the game uses the voice actors from the cartoon will only heighten that sensation. The game boasts multiplayer mini games and a much deeper real time 3D battle system that the first PokéPark. The battles alone are reason enough for Pokémon fans to pick up this game as it is something many have been clamoring for. The rest of the game might be a bit simplistic to older gamers who want some blood and gore, but the truth is that PokéPark 2 is just an E-rated sandbox game so younger gamers can get the same experience their adult counterparts get from Grand Theft Auto or Arkham City – just with less Hot Coffee and Haitian killings. Snivy, Tepig and Oshawott are actually Black and White starters, otherwise I’d agree with this review. As an adult who grew up with Pokemon, I enjoy the game, I would love for it to be longer and more challenging and but it is what it is and that’s okay. Pokemon is a franchise that is directed toward children, sometimes I wish that the folks at Nintendo realize that their original audience has grown up. Until they make a full blown portable style adventure on the console, PokePark will have to keep me satisfied.